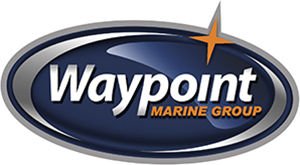 Waypoint Marine Group has a wide selection of Walker Bay AIRIS Stands Up Paddle Board in Seattle and surroundings. Introducing the revolutionary new AIRIS® Arrow™ High-Pressure Stand-Up Paddle Board. The Arrow™ is built using Walker Bay’s patented AirWeb™ construction which is thicker and stiffer than any other inflatable SUP in the World. While other inflatable SUP designs flex and make it difficult to balance, the Arrow™ is nearly as rigid as a non-inflatable but with the convenience of an inflatable SUP. Further, the Arrow incorporates proprietary RigiDeck™ non-skid fibreglass steps, so your feet grip a perfect surface adding even further to the rigidness of the design. Don’t compromise. Just enjoy.